On to my soap box I go…. There are many reasons a person could become deficient in a vitamin or mineral. I’m going to address the most common reason I see in practice: malabsorption. Malabsorption is the body’s inability to absorb the nutrient due to one of many factors, such as poor digestion or taking an inactive form of the nutrient. In order to get vitamin B12 from our diet, we need to consume animal products or fortified foods. 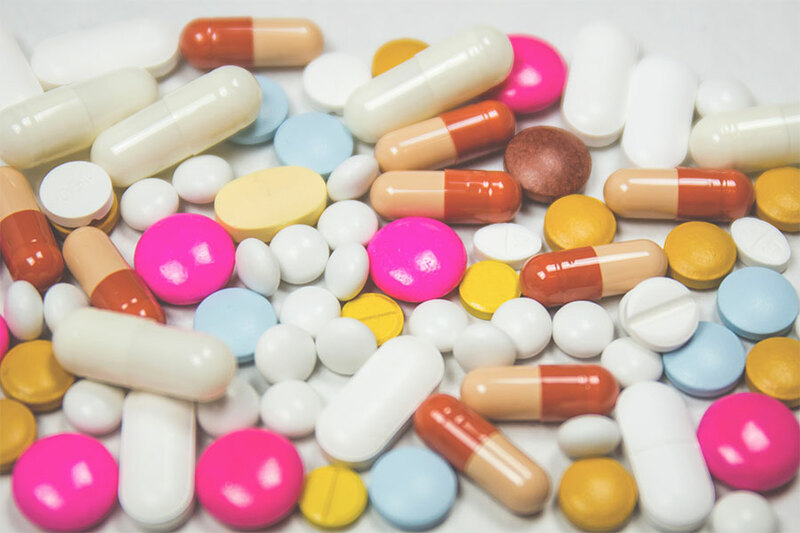 If we are eating either of these while taking certain medications (such as proton pump inhibitors, H2 blockers or even over the counter antacids), the body may be unable to break down the food to liberate the B12 due to a decrease in stomach acid. An estimated 10 to 30 percent of adults over the age of 50 have difficulty absorbing vitamin B12 from food (1). This is due to a natural decline in the production of stomach acid as we age. I’m not saying we all run out and reduce the medication. That might work in some cases, but it’s best to speak with your GP regarding any changes to medication. What I am saying is that the tiredness, brain fog, tingling in the arms and legs, body aches and memory loss might not actually be due to your diet. Normally once symptoms appear, people have already been told they have a deficiency. It is then recommended that they take a supplement. The most common B12 on the market? Cyanocobalamin. This leads me to my next point. Inactive nutrients. NOT ALL SUPPLEMENTS ARE CREATED EQUAL. Seriously though. You really do get what you pay for. First of all, Cyanocobalamin is not the bioactive form of B12; methylcobalamin and adenosylcobalamin are. (2) Stay with me here. You have poor digestion, and are not absorbing B12 from your diet. You buy a supplement (even one of my preferred ones!) in tablet form. You expect to be able to digest the tablet to then absorb the B12. Can you see where the logic in that situation runs out? If you can’t digest, you’re going to have to take a heck of a lot more of a tablet to get the dose listed on the bottle (which seems like a waste of time and money to me). The alternative is taking the active form of B12 in a way that bypasses the stomach. Enter the sublingual supplement. The great thing about taking a supplement under the tongue is it’s absorbed by the mucosal membranes of the mouth and there for bypasses the stomach and intestines where the poor digestion is taking place. Therefore, if it’s found that a B12 deficiency is due to lack of stomach acid, I recommend going the sublingual route. I am happy to advise clients on the best supplements to take given their history and circumstances. If you’re interested in having a bit of a chat, Foundation Chiropractic offers complimentary phone or skype calls to find out more. Contact us at 01915111413 or foundationchiropracticuk@gmail.com. Drink Water. I know, it’s a boring topic, but it is seriously the cheapest easiest way to help you feel better. Drinking water with things like tea, coffee and squash doesn’t’ really count (although it is better than nothing!). The average adult needs to drink 4 pints of water a day. When you drink tea and coffee or soda and squash, you actually need to consume more! Your body has to work harder to clear the extras when drinking all those fancy drinks, so you actually end up with a bit of a deficit. 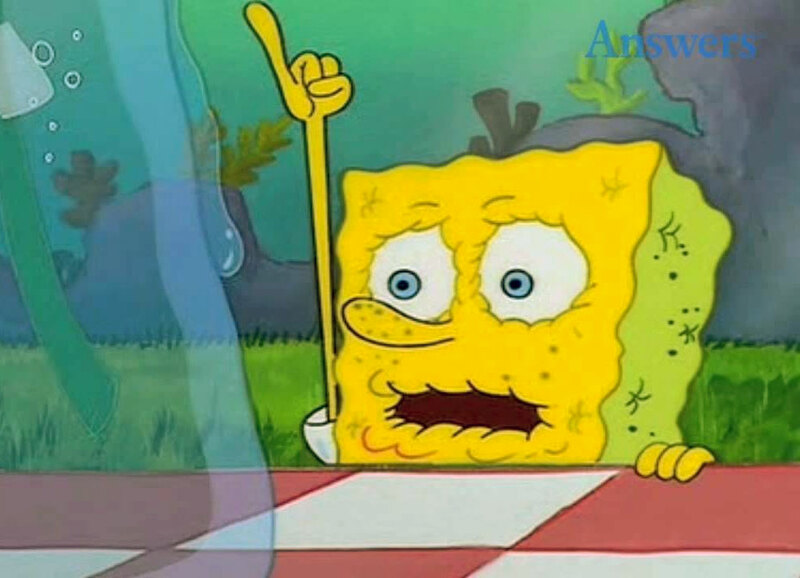 Oh Spongebob… You need to make sure you drink water BEFORE you ever experience thirst. Thirst is actually a later stage sign of dehydration. Other signs include dry, chapped lips, fatigue, dry mouth, decreased urine output, or extra concentrated urine (dark yellow coloured). I’m originally from Florida, so drinking water was just a way to stay cool. Here in the northeast, I know how much more difficult it is to want to drink cold water when it’s already so cold outside. I find if I’m needing a hot drink (after I’ve had my 2 cuppa a day quota), I boil the keetle, slice a lemon, and pour the hot water over the lemon. It’s a gentler way to have a ‘tea’ without taxing the filtration system of the body so much. And it’s hydrating! Do whatever you need to get more pure water into your day. The most common advice I give is start drinking an extra glass of water a day. For example, if you are currently consuming zero glasses of water in a day, just start with one 8 ounce glass of water a day for the next week. The following week, I will ask you to drink two glasses of water a day… can you see what we are doing here? This method helps your body get used to the extra water so it won’t make you have an irritable bladder. However, if drinking more water is your excuse for more breaks at work, I’m happy for you to use that as an excuse too! First of all, what is concierge chiropractic? Concierge chiropractic is a bespoke chiropractic service designed to fit within the busy time constraints we all deal with on a daily basis. In short, I come to your home or office, at a convenient time, provide an exceptional service without the hassle of finding parking, or running late, or having to load the kids in the car. It takes the stress out of having an appointment. Why did I choose to provide this service you ask? As a relatively new mom (mam, mum), I find fitting appointments in around my daughters nap schedule, play groups, lunch, etc. really difficult. It got me thinking, what could I do to make life easier? Well, we have the ability to have the weekly shop delivered, a house cleaner, oh, and Amazon Prime ❤…. But no home wellness care. It got me thinking about the possibility of filling that gap. Fast forward 14 months and here we are with a brand new service to offer Newcastle and surrounding areas. Foundation Chiropractic. The health and wellness choice for busy people. No traffic, no waiting rooms, no hurry.